White Street App Images — White Street Brewing Co.
Info: We make beer; we make cool things happen. All you have to do is join in the fun and you'll be rewarded for hanging out with us and having a great time. Win-win-win! Simply find the White Street Event Manager, scan their code, toast each other for being awesome, and collect your rewards. Info: We RUN this small town (one mile at a time). Lace up and hit the ground running at our weekly runs that start and end at White Street Brewing Co. or be a part of our team at races across the region to earn rewards. 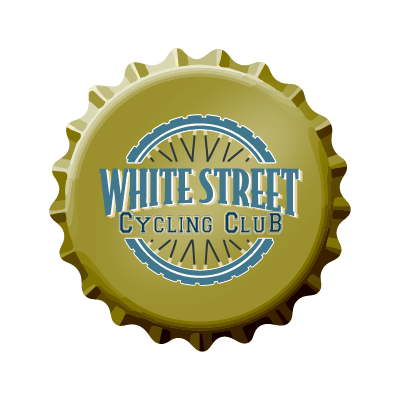 Simply find the White Street Runing Club Manager, scan their code, toast each other for being awesome, and collect your rewards. We think brewing beer is one of the greatest things in this world, although we might be slightly biased. Join us every month to talk about how we combine art and science whether it's 5 gallons or 2,000 gallons at a time. Simply find the White Street Brewers Guild Manager, scan their code, toast each other for being awesome, and collect your rewards. 25: Yearly Dues Paid By White Street Brewing Co.